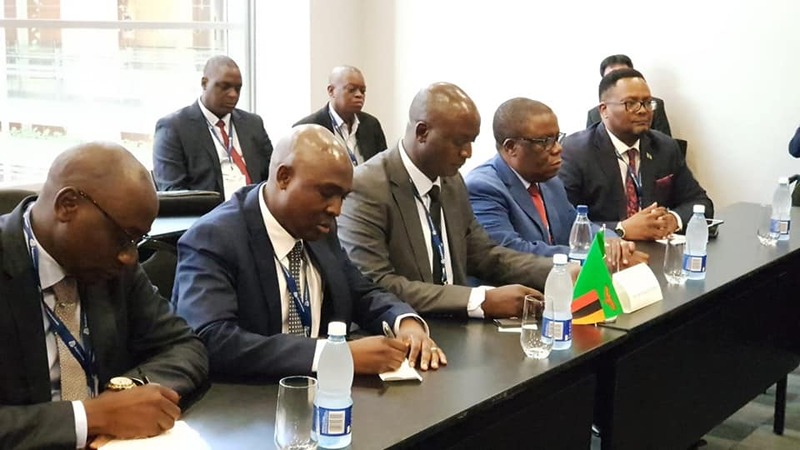 Minister of Mines and Mineral Development Richard Musukwa is leading a Zambian delegation to Africa’s largest Mining Indaba being held in Cape Town. He is accompanied by provincial ministers from Copperbelt and North-Western provinces, Japhen Mwakalombe and Nathaniel Mubukwanu. Mr. Musukwa will be joined by Minister of Finance, Margaret Mwanakatwe. The Conference opened yesterday at the International Cape town Convention Centre. Investing in African Mining Indaba is the world’s largest mining investment conference, dedicated to the capitalization and development of mining in Africa. The Conference will be opened by President Cyril Ramaphosa of South Africa joined by Nana Akufo-Addo, President of Ghana. Mr. Musukwa is among 35 Mining Ministers joining mine executives, bankers, financiers and developers among the most influential people in African mining. Others in the Zambian entourage are Presidential spokesperson Amos Chanda, State House Special Assistants for Economic and Legal Affairs Hibene Mwiinga and Lukangaba Sukwana respectively, Former ZCCM Chief Francis Kaunda, Economics Association of Zambia President Lubinda Habazoka and Zambia Railways Chairperson Lubinda Linyama among others. Zambia’s recent changes to the tax and mining policies have attracted global attention with Mines operating in the country making strategic restructuring and reviewing production in-put costs to respond and reflect to the new Tax changes. Zambia’s High Commissioner to South Africa Emmanuel Mwamba stated in a statement that it is imperative that Zambia makes its case internationally as the country has been a victim of concocted and concerted negative reports. Good representation there, hope we learn from experiences of other countries, so we develop Zambia better. What is this culture on no hair (pala), look, only 2 people in the delegation have hair, is it natural or its shaving? Just wondering! There are a few questionable characters in this delegation – including the one who sold our mines for a song.